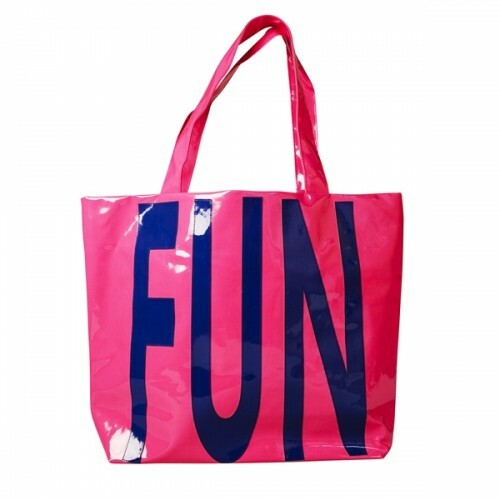 Large Pink PU Shopping Bag With "FUN" Statement on the side. Excellent for shopping or days out at the beach,you will easily fit your beach towel and much more in this funky bag. The bag easily fastens with a magnetic clip at the top.Inside It has a zip up pocket aswell as a mobile phone pocket.The outside of the bag is Made from PVC with two carry straps.